Houseboat INSIDER - any spring houseboaters around? Now that "spring is here", are there any early season houseboaters around? March is a busy "preparation" month for boaters as you are likely getting your boat ready for another season, and it's also a busy month for people who are looking to buy a houseboat. Looking for a Marina? 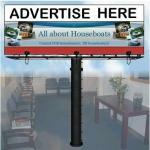 Many boaters this time of year are using our houseboat marina directory to find another location to dock their boats. 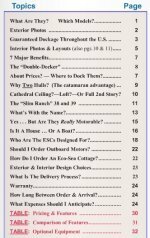 Popular and Latest Articles: Now to help our readers find relevant information here are the direct links to the POPULAR Houseboating Topics and the LATEST RECENT Articles. I'm sure you'll enjoy the Houseboat Insider and our 1,300 page website.